Really “cool” pictures. Whats the temperature outside? 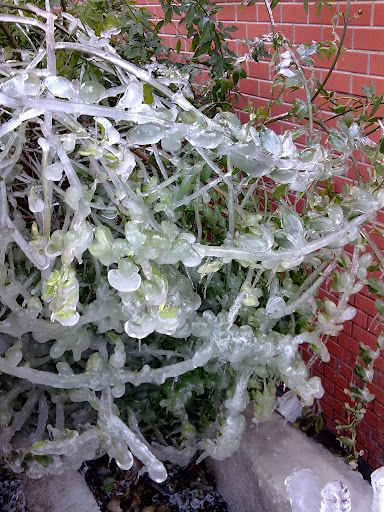 The ice is really beautiful, but I feel sorry for those poor plants! I wonder if it is possible to prepare an special dish using this weather effect. 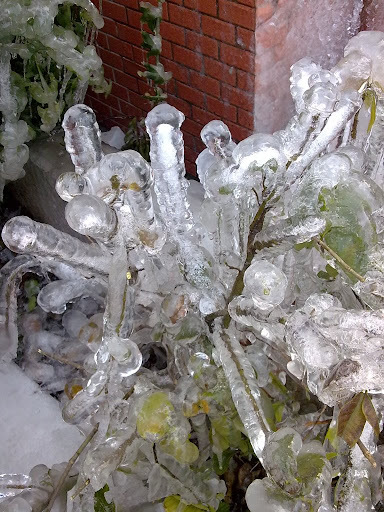 For example, get some fruits , maybe even prepared fruits (cooked for example), put them outside at the right moment and wait till they are covered with ice. Then keep in refrigerator until eat time. Taste would depend on air quality though. Better do it in a clear area. Wow! Great pictures! I’m at home in Shaanxin now, and I wish it to snow during my stay at home. Unfortunately the weatherman says it ‘s going to be sunny during Spring Festival. Happy Spring Festival to all! May every thiing goes well in this 牛 year! It is not funny! 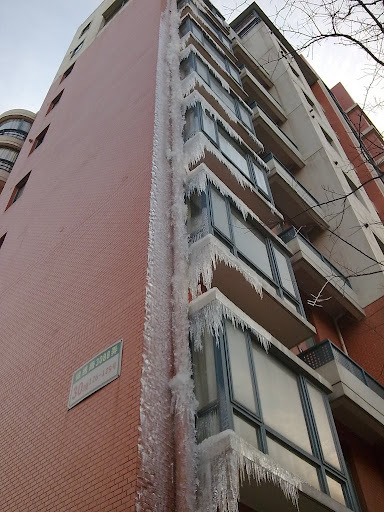 Apparently the vertical draining pipe has been exploded due to cold weather to form the icicle. The building owners may look for expensive repair bill and sewage back flow may occur at the lower floors. 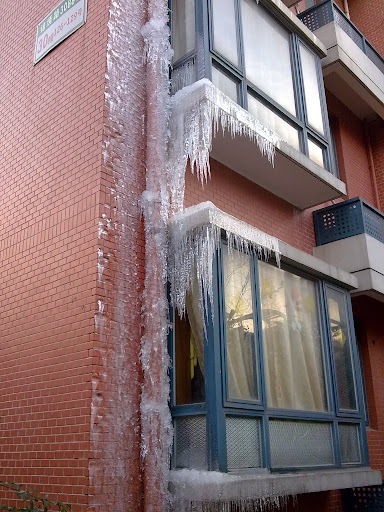 This is a bad design as the builder never consider sub-zero weather. BTW, those icicle can kill when fallen. @Tobi, it is about -9 C that night, the coldest New Year Eve every, accoridng to local newspaper. @loertta, it is not normal at all. 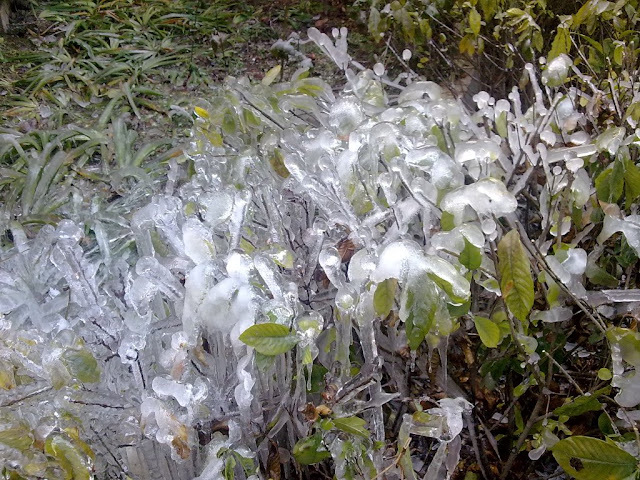 Typically, it is cold in Shanghai, but not very often for the temperature to drop below 0. @ecodelta, in northern part of China, it is very common practice to create special dishes using the cold weather. @stephen, after closely observe the situation, I realized that it is tnot the problem of the draining pipe – it is the problem of the resident on the top floor. They changed the structure of the building, and built a new room on the top. It seems they also installed drain in the new room. The drain should use the inside draining pipe which goes within the building, but the worker just put the drain pipe to the outside one. 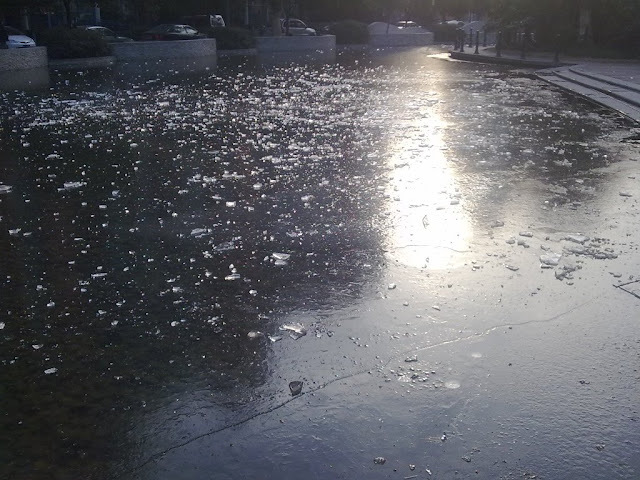 Ypically, the drain pipe is only for rains, so it won’t be a problem, but when it is for household water, under really cold weather, it is something like this. – I even suspect it is bath water, which is hot, and which is easier to get freeze. @Shane, you are right. 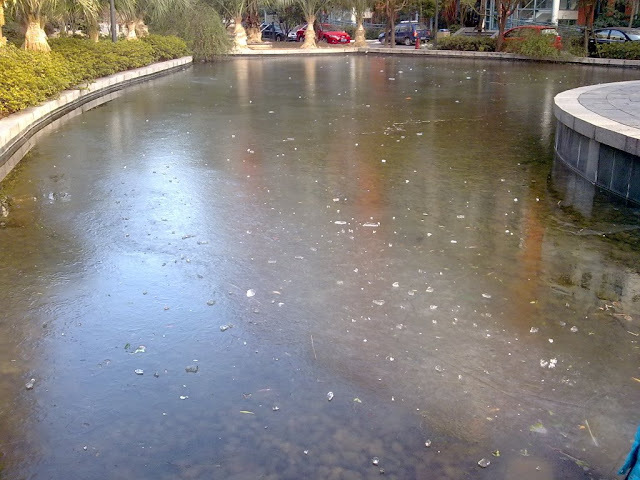 Shanghai is not always as cold as this. A superstructure on the roof? I hope the top floor owner has the permit to cover the structure. 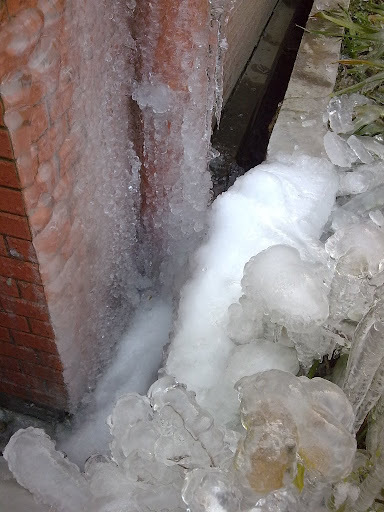 If waste water from one household can create icicle of this magnitude over night, obviously it is not one of the “green” family. BTW, JS, is this your back yard? @stephen, I don’t think they have any permit. Actually, this is very common practices to build “illegal” rooms no matter it is permitted or even safe to do so. It is within the same residential area where I live, another building. Who needs a thermometer when you have great pictures like those ones? Wow ! it must be nice..